KEMBA Louisville CU is a member of a network of credit unions where our members may make teller transactions. NOTE: by clicking on the link above or the Google Map link below, you are leaving the credit union's website. By willingly leaving the credit union's website you acknowledge that the credit union has no control of destination site. Did you give us and your employer your new address/phone? Did you update your info with Online Banking and/or E-statement? Do you need to report your ATM debit/Mastermoney card as lost or stolen? anytime, day or night, 24 hours a day -7 days a week. 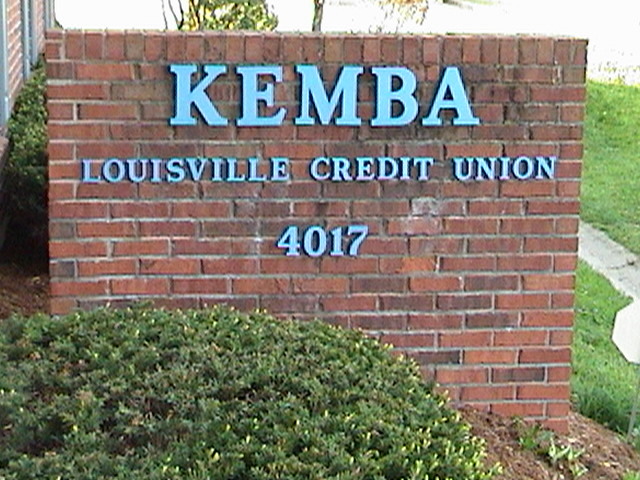 and not simply, KEMBA - which is a credit union in Cincinnati, Ohio! They may tell you that they cannot help you if you tell them KEMBA and not KEMBA Louisville Credit Union. Afterwards, you may want to call Virginia, in the Share Draft dept., and let her know that you have called the toll-free number.